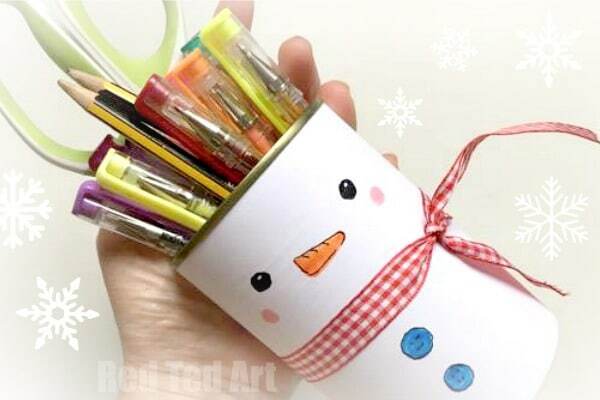 Ah yes, what is a new season without a new seasonal Pencil Holder? 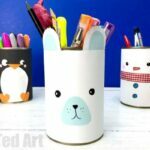 We love quick and easy Pencil Holder DIY Ideas – which means you can update your room decor and desks quickly and easily to match the seasons!! 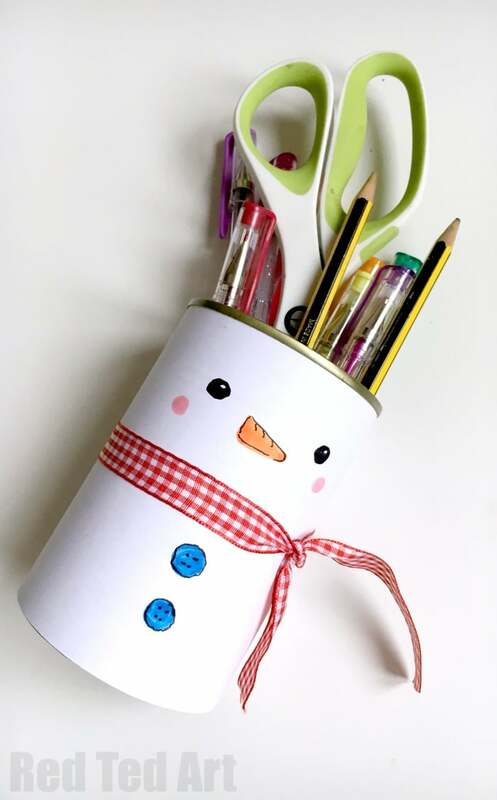 In the summer we had our fun Melon and Pineapple Summer Pencil Holders.. today we have this super cute little Snowman Pencil Holder… isn’t he fun? 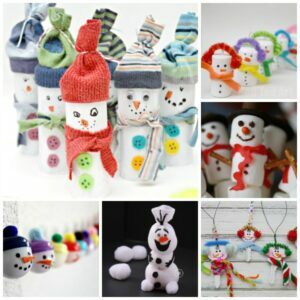 The perfect Snowman Craft for Winter! And yes, it takes less than 5 minutes to make him. 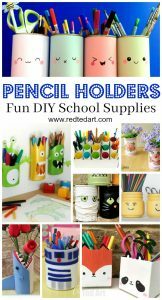 Cheap, easy, fun and oh so cute! 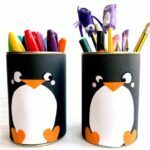 This little guy would be adorable combined with our DIY Penguin Pencil Holders!! 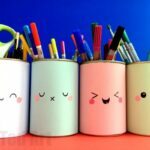 This really is a super thrifty craft.. 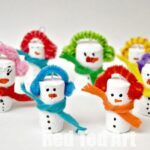 I love that you are essentially using an old tin can and some ordinary white paper to make these little snowmen. The ribbons we used were saved from gifts, so didn’t cost us a pen either! 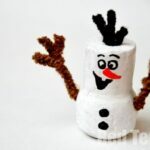 If you are familiar with our other Pencil Holder Ideas than you will probably guess how VERY quick and easy this little snowman craft is to make… it literally is a great 5 minute craft.. (the video is 6 minutes.. because I like to waffle on a bit.. teeehee). 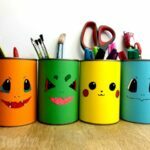 You can download and print your own Minecraft Desk Tidies that I mention in the video! 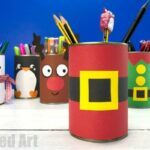 Wrap your paper around your tin, to make how wide and long you need to cut it. It creates a slight crease that you can then follow. Then get a little tape. 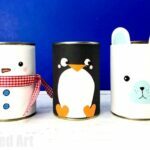 Get the end of your rectangular paper, stick it across the end and stick into the back of your tin. Make sure you rectangle is nicely alined. Then wrap the paper around your tin and secure the other end with a bit more tape. You basic tin is ready! Add a ribbon. 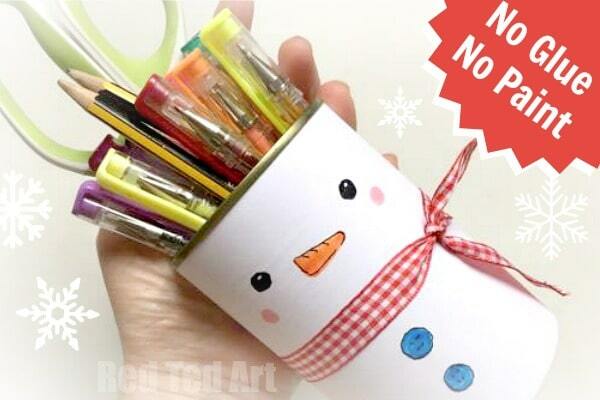 You CAN if you wish decorae the paper FIRST and then stick it on.. it is up to you really!